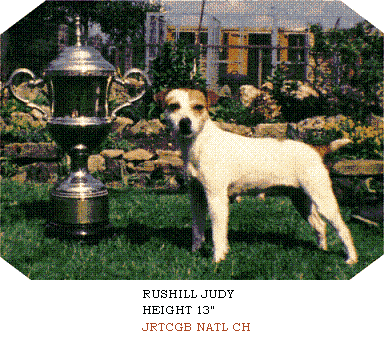 The Jack Russell Terrier breed was founded in the mid-1800’s in Devonshire, England by a clergyman named Parson John (Jack) Russell. 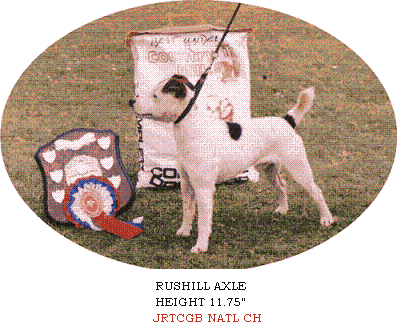 Like many of his countrymen, the Reverend Russell had a passion for fox hunting. 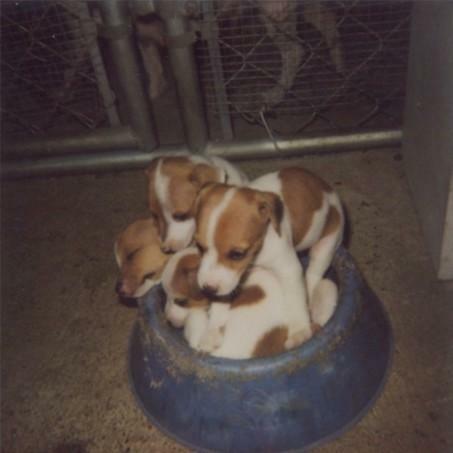 The Jack Russell Terrier was originally bred not to kill the fox, but to cause it to run from any hiding place so that the fox hunt could continue. 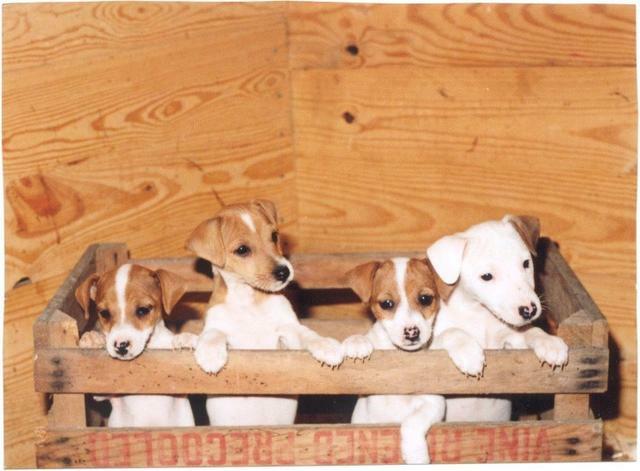 The Jack Russell Terrier is now more popular than ever as a lively, intelligent companion and a familiar sight around horse stables. 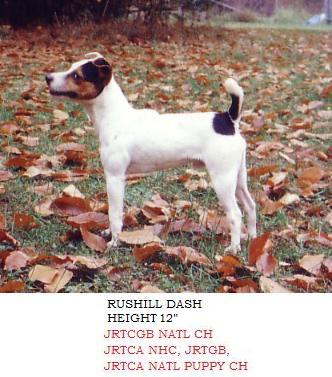 The Jack Russell Terrier breed was founded in the mid-1800’s in Devonshire, England by a clergyman named Parson John (Jack) Russell. Like many of his countrymen, the Reverend Russell had a passion for fox hunting. 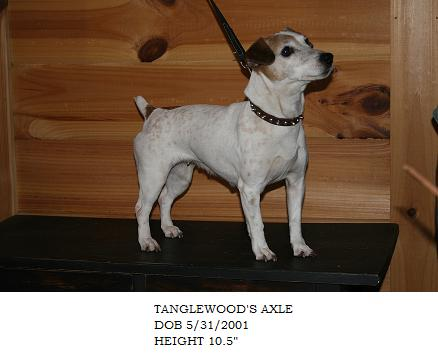 The Jack Russell Terrier was originally bred not to kill the fox, but to cause it to run from any hiding place so that the fox hunt could continue. 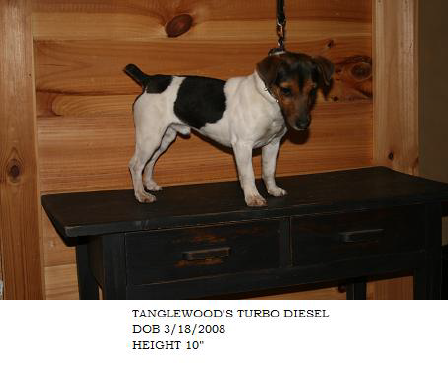 The Parson Jack Russell Terrier is now more popular than ever as a lively, intelligent companion and a familiar sight around horse stables. 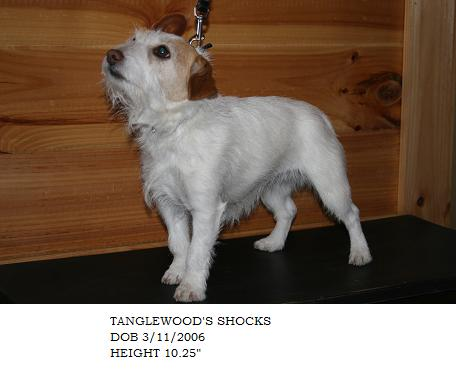 Standard Jack Russell Terriers measure under 15 inches at the withers and their body length is in proportioned to their height. 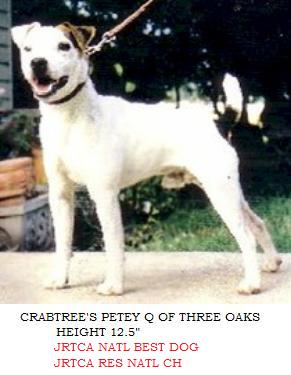 The color white should predominate (must be more than 51% white) with tan, black, or brown markings. 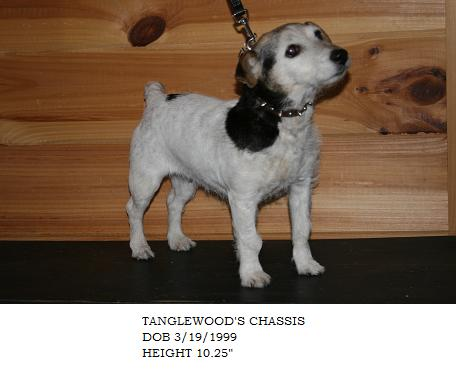 They either have a smooth, flat coat or a wiry, broken coat. Their tails are docked just long enough to provide a good handhold. 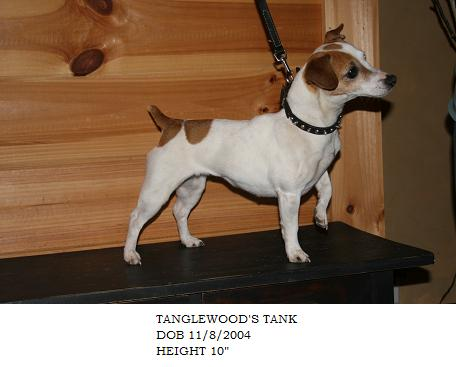 Not until October of 2005 did the AKC recognize the “Russell Terrier”, a shorter version of the JRT that stands 10-12″ tall. 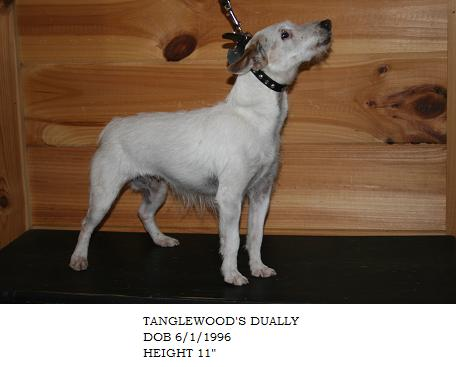 These are commonly referred to as “Shorty” or “Miniature” Jack Russell Terrier and are separate and distinct from the taller hunting Parson JRT. 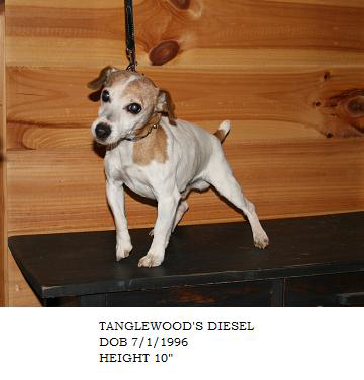 Tanglewood Farm began their Foundation Stock of Miniature Jack Russell Terriers in 1996. 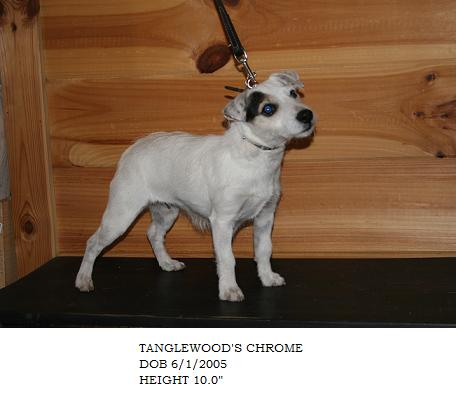 Tanglewood bloodlines can be traced back to the legendary Rushill Kennels of England. 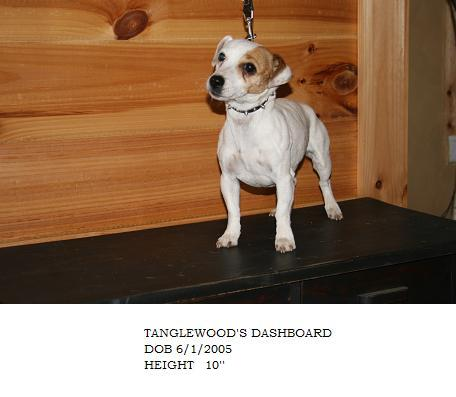 Tanglewood Farm raises Miniature Jack Russells that are bred for a calmer temperament and sweeter disposition, concentrating on health, conformation, and correctness of type for the breed. 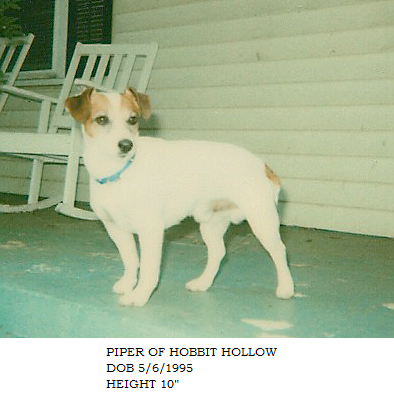 The Miniature JRT breed is not short legged (like a Dachshund) and not based on the “puddin'” type of JRT with dwarf characteristics that hamper its ability to work efficiently. 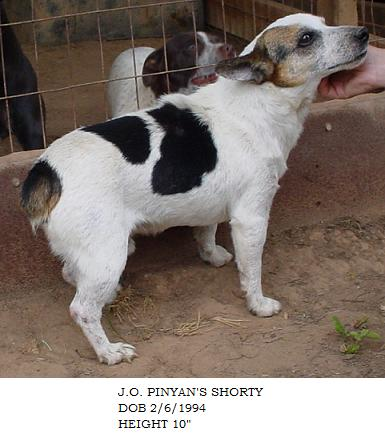 Miniature JRTs have a balanced 50/50 body to leg ratio. 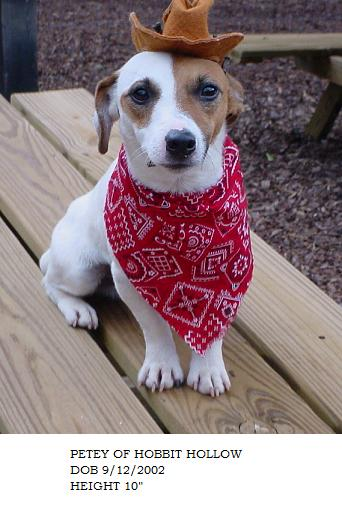 Miniature Jack Russell Terriers are a very quiet, well mannered, intelligent, devoted companion type Jack Russell that get along well with other animals and children of all ages. 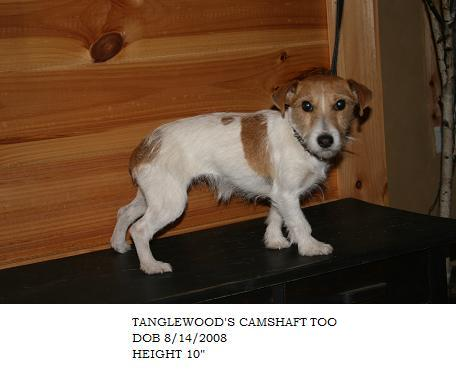 They are not the typical go to ground “hunters” that many JRT’s innately behave like. 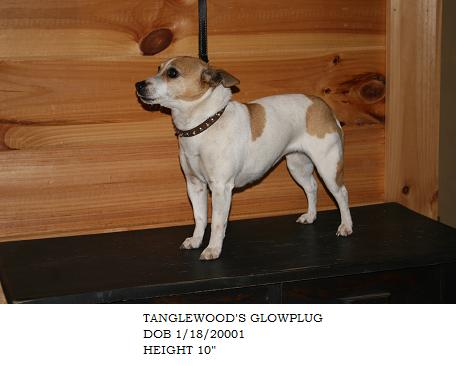 They are good family dogs that still have the working ability, but can turn it “on” or “off”. 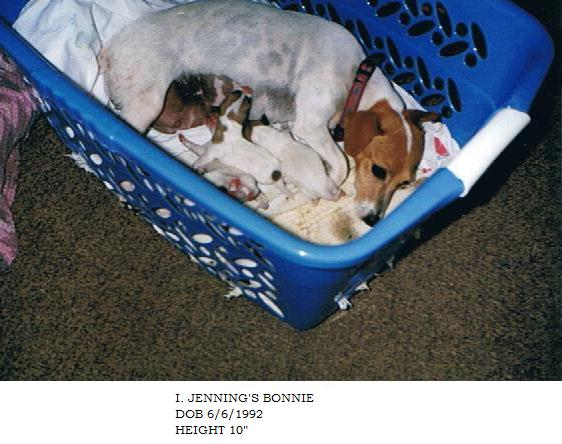 The Miniature Jack Russell terrier breed is a conformationally correct Jack Russell that stands 10 inches tall and weighs 10 pounds or less. Their average life span is 12 to 15 years. 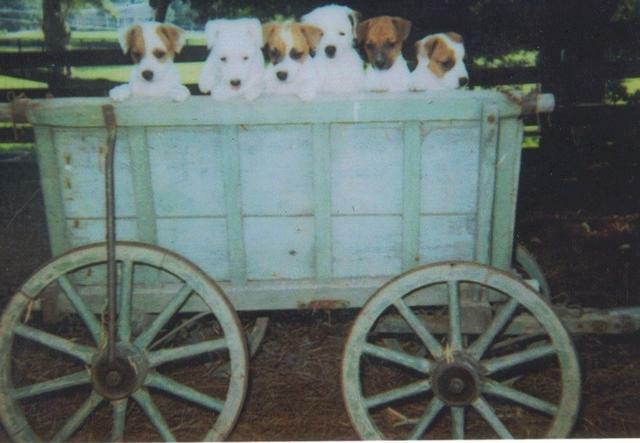 After 20 years of breeding Miniature Jack Russell Terriers, we have decided to retire our dogs. 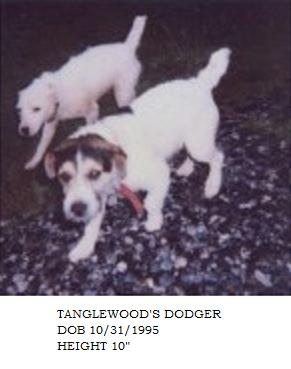 We have dedicated a new website to honor the memory of those no longer with us and to let our customers enjoy our bloodlines which go back to early English Imports. 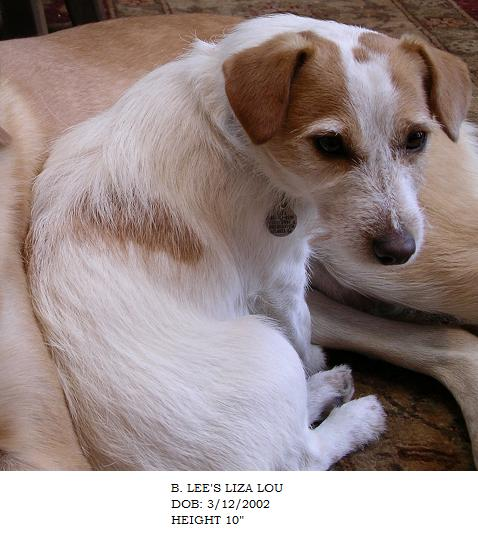 We are rehoming a few of our spayed and neutered adult house dogs. 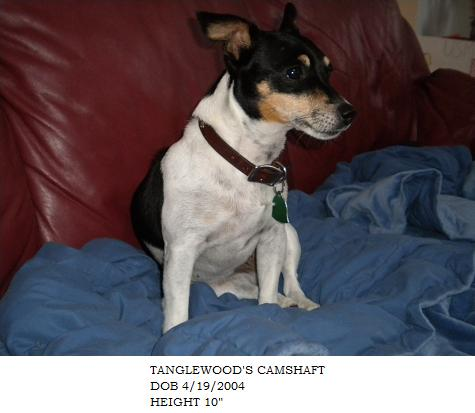 We raise a very quiet family type dog devoted to their owner and a constant shadow around those they love.